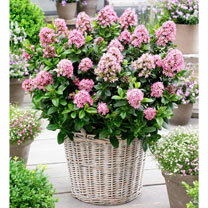 The huge flowers of this hardy, evergreen variety really make it stand out. 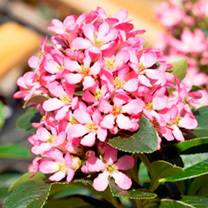 The leaves are dark glossy green and the flowers, which almost smother the plant during the summer, are soft pink with dark pink outer edges produced in larger clusters. 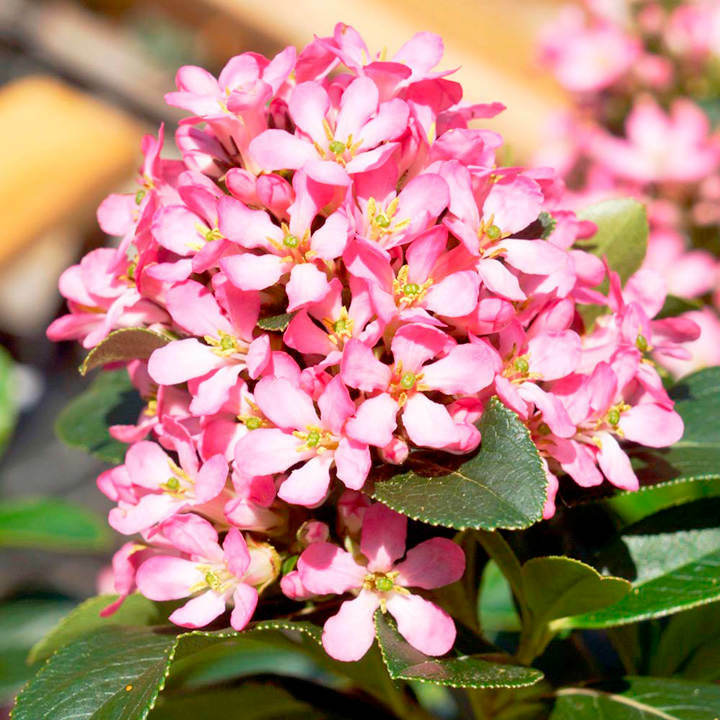 Sometimes in autumn, it can have a second smaller flush of flowers but the real show stopper is in the summer when it will lighten up any mixed border planting. Flowers June-July. Height 90-100cm (3'-3’3”). Supplied in a 3 litre pot. Truly enormous clusters of flowers!